Want to purchase a new patio door without having to transport a bulky product into your home or up stairs risking damaging floors or furniture? Stanley Doors' Ready-to-Assemble Reversible Patio Door with Wood Cladded Frame is so simple to transport, assemble, and install, that it could be done by ONE person. Our detailed instructions will guide you through the process of assembling and installing your durable, energy efficient, and high-performing patio door. However, it is always a good idea to have a professional install any door. The ready-to-assemble kit comes with 5 components: 1) ready-to-assemble frame, 2) fixed glass panel, 3) sliding glass panel, 4) sliding screen door, and 5) white handle. If you are looking for additional security options, or perhaps a different handle to match your home, check out our DUSCO handles with key locks, security bar, and foot lock sold separately on Homedepot.ca. 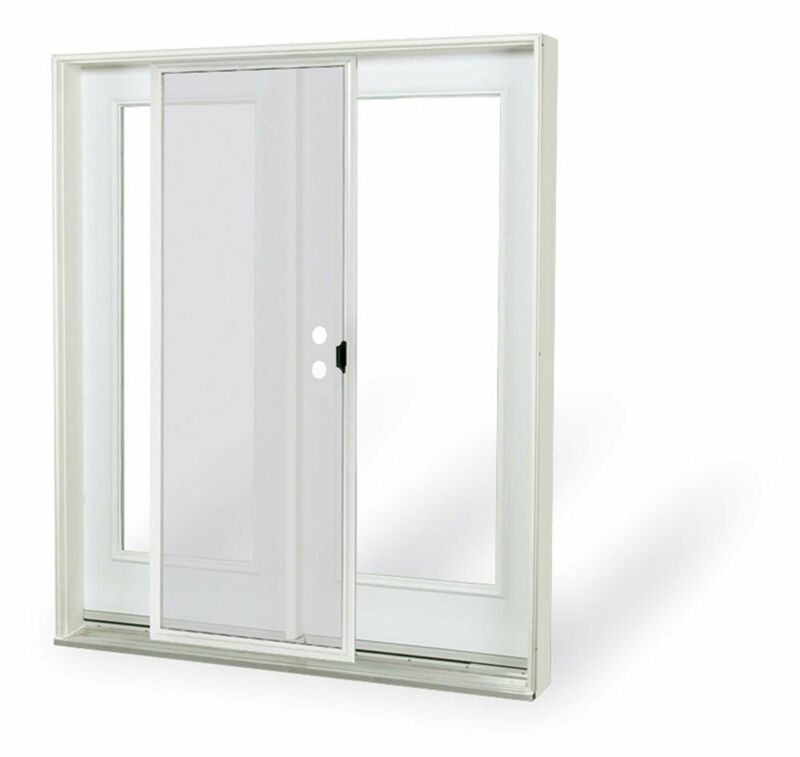 Veranda's 6 ft. Ready-to-Assemble Patio Door requires 5 components. This is box 3 of 5 required to build your reversible patio door. You could also enhance security by purchasing our Foot Lock or Bar Lock. Match the style of your home by selecting one of our handles in white, black, or satin nickel! 6 ft. French Door, 1 Lite door glass, Low E argon, RH, inswing 4 9/16 East - ENERGY STAR® The essential link between your indoor and outdoor living spaces, patio doors are the primary access points used by guests and inhabitants of the home to reach their decks, balconies, porches, and backyards.